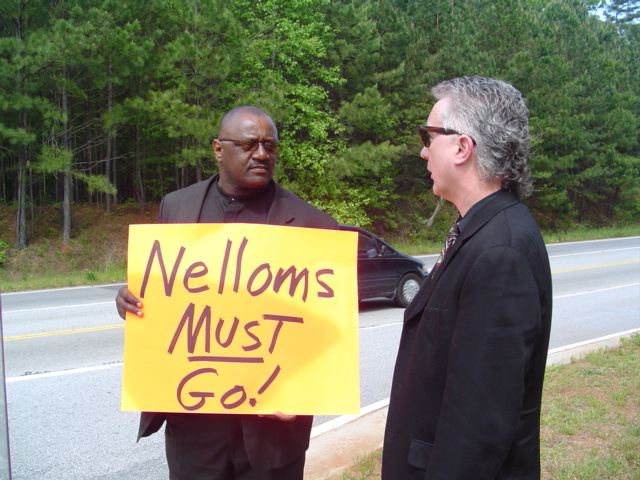 Has The DeKalb County Board Of Education Given Up On Hiring A Superintendent? Ramona Watch…Tick, Tick, Tick… | Georgia Teachers Speak Out! ← The Reign Of Edmond Heatley…Yes, Dark Days Ahead In Clayton County…The Most Despised Superintendent? Controversy Ruled Under Superintendent Crawford Lewis’s Reign! Just a quick question: Has the DeKalb Board of Education given up on finding a new superintendent? We read on the DeKalb School Watch blog that Chairman Tom Bowen was in court recently and was apparently there to support federally-indicted former DeKalb superintendent Crawford Lewis. Hmm. Is this a conflict — or does it at least send the wrong message? Hey Mark Elgart, thou most hypocritical of all educrats in the state of Georgia, what say ye about DeKalb? And Atlanta…now that you apparently got your way to having Chairman Khaatim El to step down as leader of the Atlanta Board of Education? Do you reckon that you will finally get your invite to the Piedmont Driving Club? What does the DeKalb County Board of Education have in the offing? Season tickets to Stone Mountain Park? I kid you, Mark, but you are so inconsistent in your application of SACS‘s phony standards. If Atlanta and DeKalb school system do not merit SACS‘s actions, then which school system does? Are you going to keep picking on lil ole Clayton County? Ha! Clayco became your Afghanistan, didn’t it? Dr. Sam King, anyone? Superintendent of the Year in Georgia. I suppos no one wants a very superintendent who always knows how to treat people. Dr. King, I don’t blame you for staying right where you are. But, who can understand Arthur Culver, Lillie Cox, Michael Hinojosa, Edmond Heatley, Beverly Hall, Crawford Lewis? Do school boards always learn dumber? Hmm. Lets go back to basics and let the people elect superintendents…Whats wrong with democracy Georgia?